The aim of this study was to analyze differences in physician and patient satisfaction in shared decision-making (SDM); patients’ emotional distress, and coping in subjects with resected, non-metastatic cancer. 602 patients from 14 hospitals in Spain were surveyed. Information was collected regarding physician and patient satisfaction with SDM, participants’ emotional distress and coping, as well as patient sociodemographic and clinical characteristics by means of specific, validated questionnaires. Overall, 11% of physicians and 19% of patients were dissatisfied with SDM; 22% of patients presented hopelessness or anxious preoccupation as coping strategies, and 56% presented emotional distress. By gender, female patients showed a higher prevalence of dissatisfaction with SDM (23 vs 14%), anxious preoccupation (26 vs 17%), and emotional distress (63 vs 44%) than males. Hopelessness was more prevalent in individuals with stage III disease than those with stages I–II (28 vs 18%). 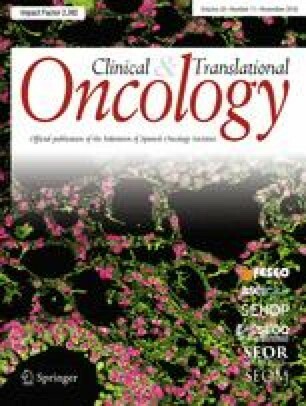 Physicians must be mindful of the importance of emotional support and individual characteristics when communicating treatment options, benefits, and adverse effects of each alternative to oncological patients. The study has been performed in accordance with the ethical standards of the Declaration of Helsinki and its later amendments. This study is an observational trial without intervention.